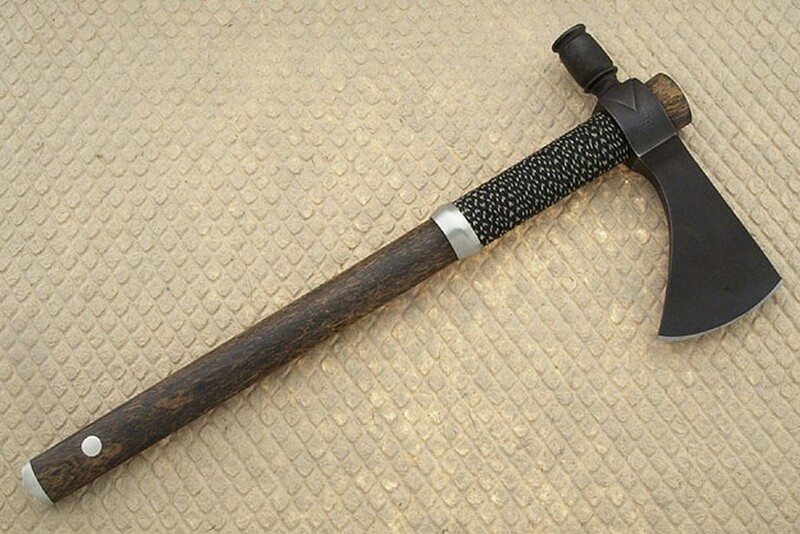 Description: Lonnie's Bocote Round Hammer Pole Tomahawk is traditional in style and sturdily constructed. The synthetic sinew gives an excellent grip for using the hammer. Pewter accents are poured directly into wood and then finished. 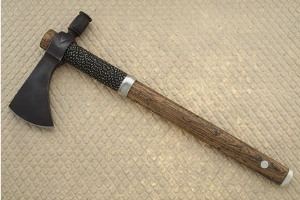 The bocote handle has particularly dramatic grain structure. Lonnie got a small amount of 1086M to use for a few hawks. He feels that this produces and extremely fine edge that is also very durable -- a rare combination. 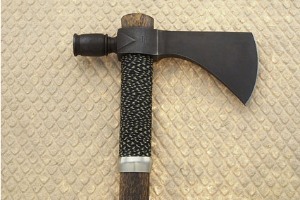 The head length is 8.9" and the cutting edge is 3 2/3". This piece is very sturdy and well weighted for chopping as well as hammering. 0.28076171875 0.0927734375 280.76171875 92.7734375 Trailer Started. 0.796875 0.51611328125 796.875 516.11328125 Trailer Completed.